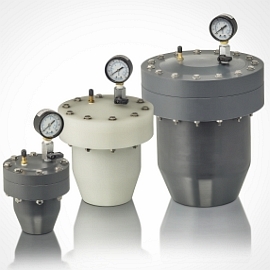 Miscellaneous Process Controls & Pumps – Plast-O-Matic Valves, Inc.
Calibration Columns verify pump flow rates for precise chemical dosing. 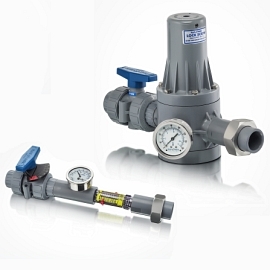 Constant Flow Valves provide pre-set constant downstream flow rate. Air Operated Filling/Metering Pumps for precise filling, dosing, dispensing of ultrapure liquids and corrosive chemicals. Process Cooling Sticks supply or return side assemblies simplify piping and provide superior strength. Pulsation Dampeners/Surge Suppressors water hammer arrest and pump pulsation dampeners improve performance and safeguard against system damage. Series FC Maintain constant flow with inlet pressure changes from 15 to 120 PSI (1 bar to 8 bar). Available in pipe sizes 1/4″ through 3″, with standard flow ranges from 1/4 GPM to 120 GPM. Valves are pre-set and tamper-proof. Series VPA metering pumps are air-operated, self-priming, positive displacement type pumps designed to meter precise quantities of liquids, accurate to 1/2 of 1%. The four sizes of pumps available have a single stroke maximum delivery capacity of 7, 10, 32 or 128 liquid ounces, adjustable to deliver smaller portions. 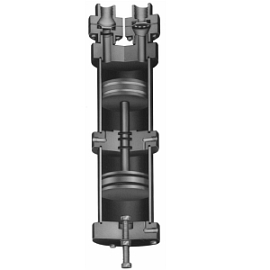 Series PCWS supply side or Series PCWR return side assemblies simplify piping and provide superior strength. 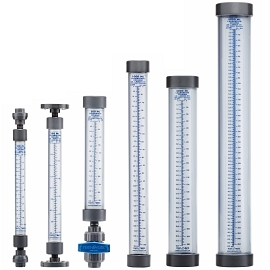 Fully customizable with choice of valves, flow, and pressure controls; pressure and temperature gauges, flowmeters, and virtually any conceivable combination of connection sizes and types. 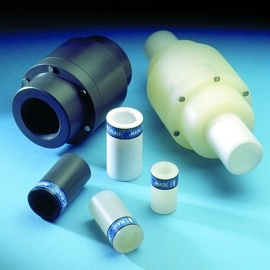 …available with threaded connections in three capacity sizes and a variety of thermoplastic materials. Please see PDF for more information. Calibration Columns verify pump flow rates, chemical dosing, or chemical feed systems with higher accuracy than competitive models. Constructed of UV Resistant PVC and designed for precise, efficient testing with a variety of installation options.